This Mick Strider Custom Stub is, as its name implies, a shorter version of the original. 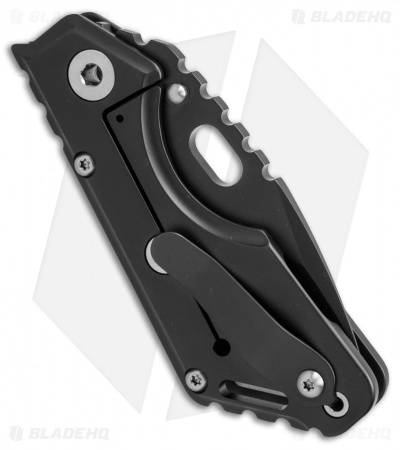 It features an all-black DLC finished titanium handle, pocket clip, and blade. 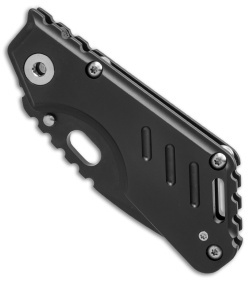 The blade was custom ground by Tony Marfione with an added finger choil on the blade. 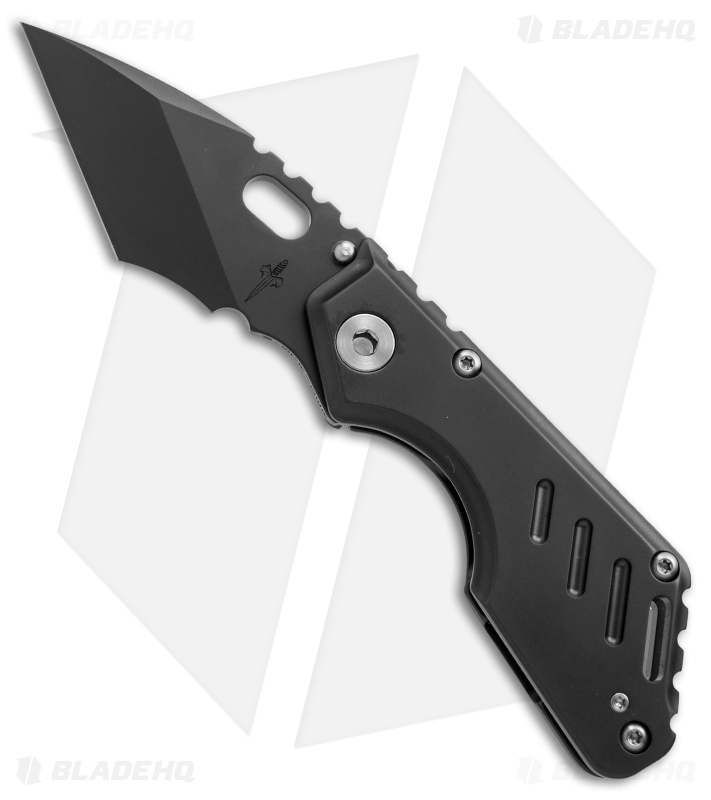 Its blade is marked with M. Strider on the choil, and the Marfione dagger logo beneath the thumb hole.